Along with our furnace repairs, we also provide emergency repairs to furnaces of all makes in the Windsor Ontario region. 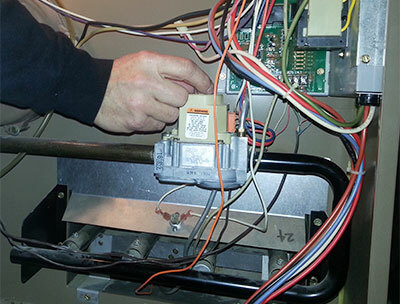 Our furnace and heating system repairs are completed properly and are affordable. We don’t want you left out in the cold by repairs that are costly or unreliable. We realize that when a furnace breaks down, it can be very stressful. Heating systems always seem to choose the coldest day of the year to cause you problems. While you are scrambling to find someone to come out right away, your home and family are starting to feel the chill. We will respond as quickly as possible. When you require furnace repairs, you can be assured that our highly-trained, licensed and insured technicians will be both knowledgeable, polite and efficient. While our technicians are performing repairs on your system, they won’t just be fixing what’s broken. They will also be looking for other factors that may cause your system to malfunction, or that may make it sluggish and perform inefficiently. A system that is not performing optimally ends up costing you more money. Emergency Furnace Repairs are available 24/7 and 365 days a year. All our repair services are 100% guaranteed. Urban Heating and Cooling offers service maintenance plans to keep your furnace and air conditioner run safely and efficiently.